Since 1956, we have been a leader in making communities better places for all people. This history was built by visionary people who wanted to do good in their community. This vision continues today, and through that vision, CFNEIA has become a community foundation making an impact across our regional footprint while maintaining its local focus. Today, we look to do even more good than ever before in our communities. We continually strive to help our communities become stronger, more vibrant places. We dream, plan and work to create a better future for people across our region. It is only because of people like you that we can make these dreams and plans a reality. We look forward to serving your community forever. Thank you for your vision. We are Here for Good.  The Community Foundation was founded under the leadership of first incorporators Lowell Walker, Richard Zellhoefer, Marion Lichty, Warren Holden, Glenn Stech, and Charles Swisher. These incorporators, along with other community leaders including Jean Parker, Ray Forsberg and an initial gift from the Junior League of Waterloo, reflected the generosity of this community. The organization began modestly with volunteers coordinating all efforts under the name of the Waterloo Civic Foundation. The organization at that time did not operate as an endowment-building vehicle. In 1993, another group of citizens (including Ross Christensen, Herb Williams, George A. "Tony" Loveall, Teresa Jackson, Robert Lichty, John Bragdon, and Linda Klinger) had both vision and dedication to hire a full-time staff person. This change in operational structure allowed the Community Foundation to achieve a higher level of outreach and impact ensuring that the area's needs would be addressed both now and in the future through the community endowment. The State of Iowa passed legislation that distributed a percentage of gaming revenues to counties without a state issued gaming license. These dollars were only available to counties who had a community foundation meeting National Standards for U.S. Community Foundations, like CFNEIA, or though affiliation with an accredited foundation. In 2005, the CFNEIA Board of Directors voted to expand its reach through an affiliate structure, laying the groundwork for today's regional footprint. CFNEIA celebrated its 60th anniversary. The year was also marked by its move to its new building at 3117 Greenhill Circle in Cedar Falls, Iowa, its rebrand, including a new mission, vision and values, and the creation of a new 5-year strategic plan. CFNEIA also received its reaccreditation from the Council on Foundations. The current name of the Community Foundation of Northeast Iowa has evolved over the years to reflect the growth of the Foundation. With 24 affiliate county and community foundation partners, over 800 charitable funds, and over $93 million in total assets, the Community Foundation of Northeast Iowa provides the link between donors and important nonprofit and community needs. Since CFNEIA's inception, more than $80 million has been granted to projects and programs.